1954 – 55 Rector of Wickmere w Wolterton and Little Barningham. Norfolk. 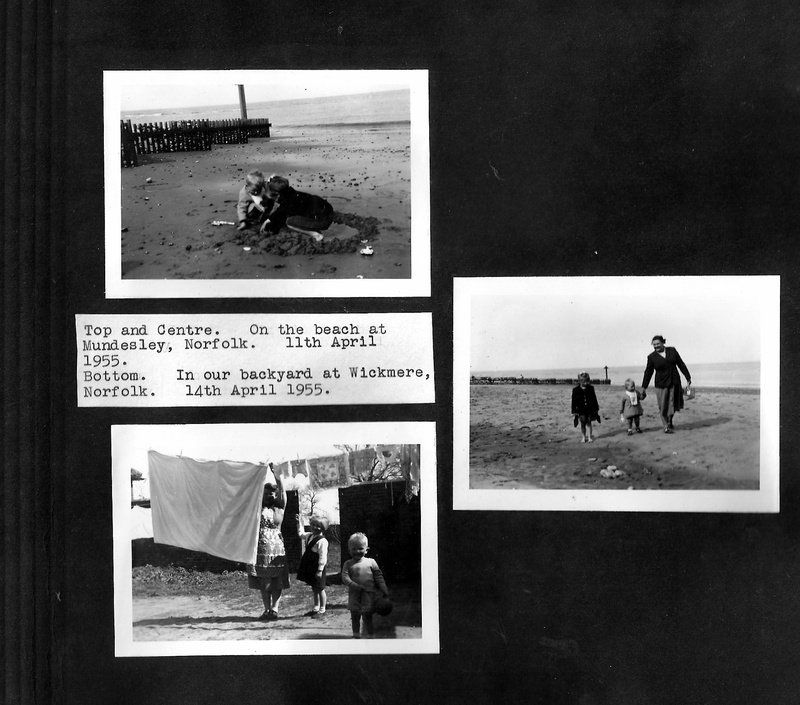 Grandfather - W.R.Buckett visits 10th -12th November 1954. “A short visit to Wickmere Rectory for the Institution and Induction of the Rev G.E.Hubbard to the United Benefice of Wickmere with Wolterton and Little Barningham. It was nice to see the new home of Mr. & Mrs. Hubbard. Judith is growing in stature and intelligence and is a sweet tempered girl. Robert too has grown and is a sturdy bright boy. They will enjoy the freedom and roominess of this Rectory” Grand-dad. The Rev. G.E. Hubbard writes - It may come as a surprise for some of you to learn that, by the time this Magazine reaches you, Wickmere Rectory will one more be empty. Until the question of clergy housing is fairly and squarely dealt with by the Church authorities, there will be this coming and going of incumbents which is so prevalent today. After ten months as Rector of Wickmere, I just cannot stomach any longer this dreadful, worn-out, old house with its quarter-mile drive. 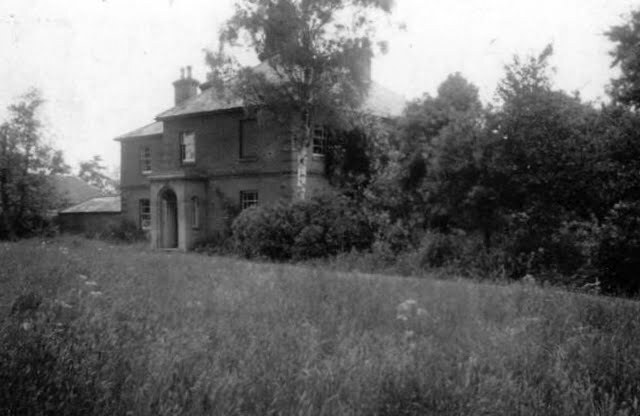 Apart from the very bad state of repair of the Rectory, it is all wrong for any parson to be so isolated from his parishioners [and parishioners from their rector], as is the case at Wickmere – to say nothing of being so remote from shops, school, bus routes and civilisation generally. The garden too! – what a garden, two-and-a-half acres of it, nettles and other weeds everywhere, covering paths, lawns, flower beds, vegetable garden and orchards. Benefice income, though reasonable enough for moderate-sized property, is wholly inadequate to maintain this vast estate in the way it should be maintained. Everything was in a shocking state when we came here last autumn, but it is in far worse condition now. Another aspect that has decided me to leave Wickmere at short notice and after being Rector for so short a time, is the present acute shortage of man-power in the Church. I consider that I should be frittering away the remaining useful years of my life were I to stay on indefinitely in Wickmere under existing conditions. Rather than waste my time, I have accepted the offer of work in a Liverpool slum parish [Christ Church, Bootle]. I shall be assistant curate to an elderly vicar who is a very sick man, badly crippled with arthritis, and in urgent need of help. So at the end of this month [September] we shall be exchanging the bracing climate of Norfolk for the sights, sounds and smells of Merseyside; a tumble-down country rectory for a small, down-town terrace house; acres of weeds for a tiny backyard; wide stretches of unwanted glebe for the amenities of civilisation [with a Woolworths and a fried-fish shop just around the corner!] and mere existence for a worthwhile job. And, believe me, I know which I prefer! Now, all too soon, the time has come for me to wish you all Good-bye. But here’s hoping that before long a small convenient rectory will be built in the centre of Wickmere [not miles outside it] for the mutual benefit of my successors and of the people of Wickmere themselves. Good-bye and good luck to you all. Wickmere Rectory as I remember it. Over-grown with shrubberies - a paradise for young children. Wickmere School - now closed. I enjoyed this school. Memories of smelly plasticine and coke stoves.